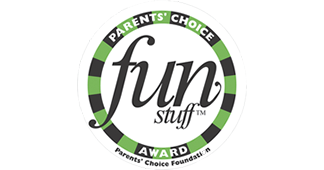 Fun for kids and easy for adults! 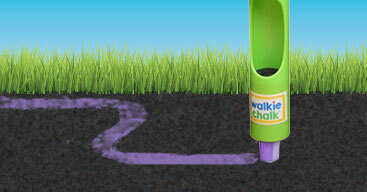 Basically, anywhere you can draw outside, Walkie Chalk makes it a new and different experience...and it's a lot of fun! 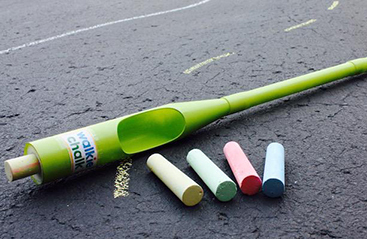 Walkie Chalk was designed to be simple, durable and universal—it holds both round and square chalk, and can be easily assembled at 24 inches or 36 inches, so children and adults can use it! 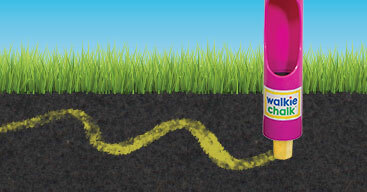 Walkie Chalk is a fun new way for kids to draw, and it allows them to think BIG and create roads, hopscotch and so much more! 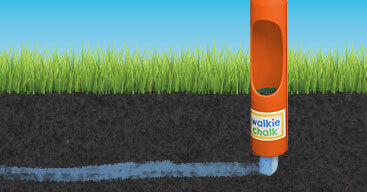 Walkie Chalk gives kids another reason to stay active outside! 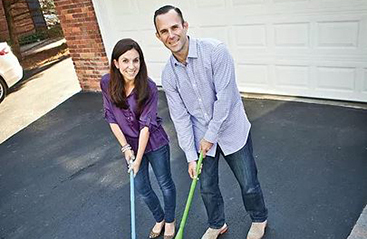 Parents and grandparents love it too, because now they can play with kids without crawling around on the ground and getting dirty or sore! 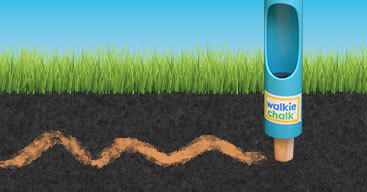 It’s great for all ages! Choose from four bright colors! 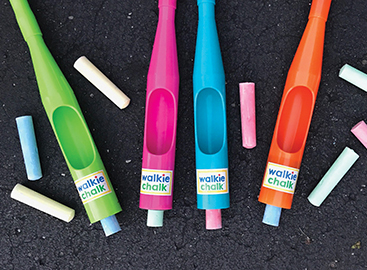 Read about how Walkie Chalk began! Chalk Talk! 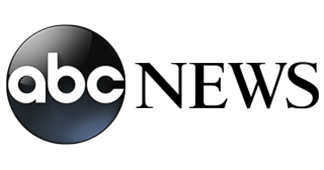 Check in with the blog!